Spring is well and truly here and that means getting outdoors as much as possible to watch the flowers bloom and soak up the gentle spring sun. We recommend a leisurely stroll alongside Mylor creek, spotting the wildlife and watching boats bobbing on the water, or if the tide’s out, look out for the different bird species such as herons which frequent the area. Then top it off with a pint in the Lemon Arms pub, which has a brilliant beer garden and maybe even indulge in a bite to eat too, after all you have just worked up an appetite! With classic pub food made so well it’s practically gourmet, enjoy a prawn cocktail or a mature Cornish cheddar and homemade chutney sandwich in the warm April sun. Located in the heart of Cornwall, Etherington’s Farm Shop is home to a range of everyday store cupboard ingredients, specialist products and award-winning meats – all under one roof. The friendly team simply loves great food, and is always more than happy to assist you with whatever you may be looking for. Whether it’s advice on how to cook the perfect steak, putting together a cheese board, or gift ideas, they’ll have the solution to suit you! In a bid to get more people eating better quality meat, last year Etherington’s launched a new range of online meat boxes, making the their high-quality, locally sourced meats available to all and drawing on more than 60 years of trade expertise. With boxes for steak connoisseurs and seasonal specials for the barbeque season, these are just the ticket, especially if you have a special occasion coming up! 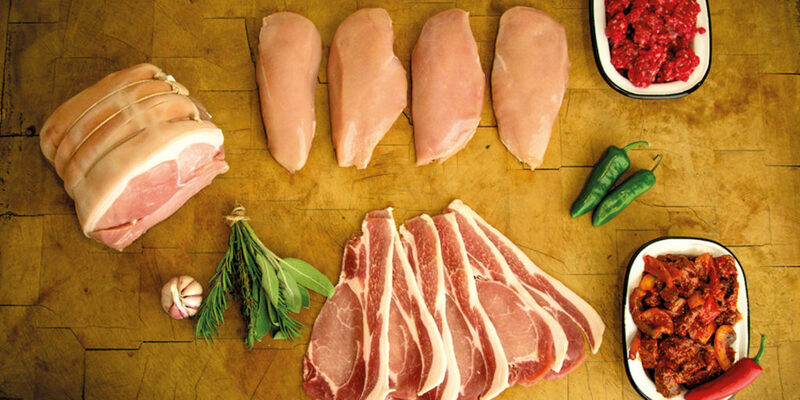 What’s more, in a bid to make student life easier for those who recently flew the nest, Etherington’s now offers Student Survival Meat Boxes, filled with healthy, protein fuelled, easy-to-cook meats. Comprising of sausages and burgers, beef mince (perfect for the student staples of spag bol and chilli con carne), as well as a quick chicken and stir-fry mix and bacon rashers, worried parents can rest assured that their children are getting the nutrition they need whilst settling into student life. Nicolas Legendre, who heralds from France, has a great passion for food. French cuisine is lauded across the world, making it the perfect place for any serious chef to learn and craft his art form. With an impressive CV that includes having cooked for Her Royal Highness twice, the Richardson Group, after a tough ten months, is excited to see what Nicolas brings to the table. Extremely passionate in taking the group to new heights, Nicolas is working hard, currently designing new menus. He will be focusing on traditional cuisine, with high importance on top quality, local produce. He’s also keen to ensure that the group becomes a training hub for chefs within the industry as a place to learn. One thing’s for sure – new exciting chall-enges are very much on the horizon and with Nicolas now at the group’s foodie helm, Richardson Hotels are in for a real culinary revolution. With incredible views over Porthminster beach, HarBAR Restaurant & Terrace provides a wonderful dining experience for anybody spending the day in St Ives. 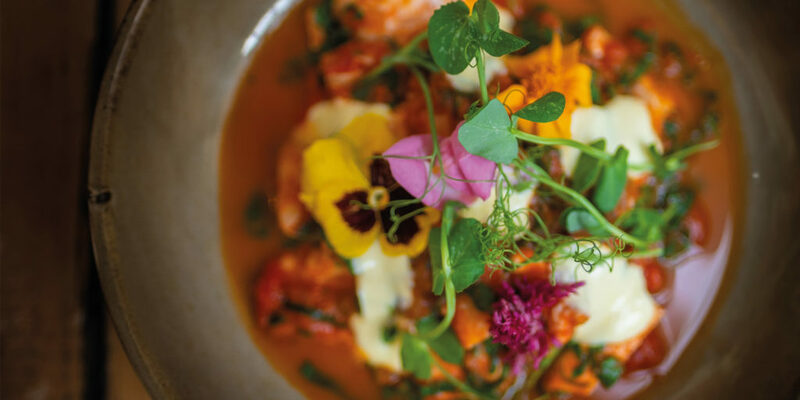 Serving fresh, local and seasonal food, HarBAR Restaurant & Terrace celebrates the very best in Cornish flavour, using local suppliers and producers to build menus that reflect the changing moods and climates of Cornwall; fish landed daily at the ancient St Ives quayside and a local larder of mouth-watering Cornish produce. Whether it’s lunch overlooking the bay, or a sumptuous dinner for two, HarBAR Restaurant & Terrace is open for breakfast, lunch, afternoon tea and dinner. 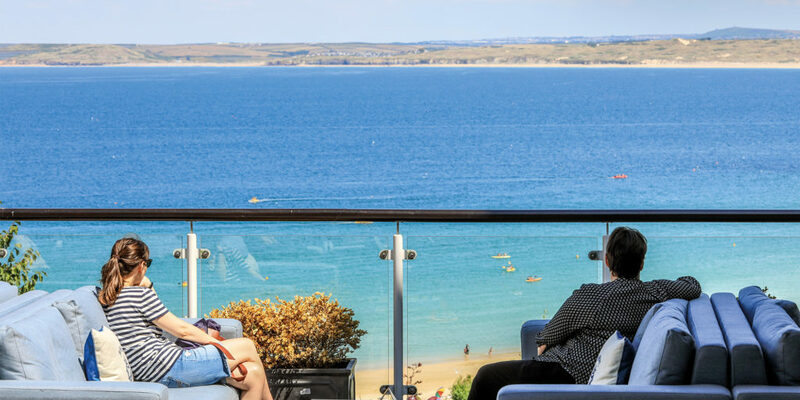 So, whether it’s a light bite, a full three-course meal, or a drink out on the terrace overlooking the bay, be sure to pop into HarBAR Restaurant & Terrace during your visit to St Ives. Having delivered his first loaf of handcrafted bread to his local farm shop more than ten years ago, to this day, Baker Tom’s ethos remains the same – to make delicious, wholesome, artisanal bread and sweet treats that his customers love. One such treat is Tom’s Hot Cross Buns. 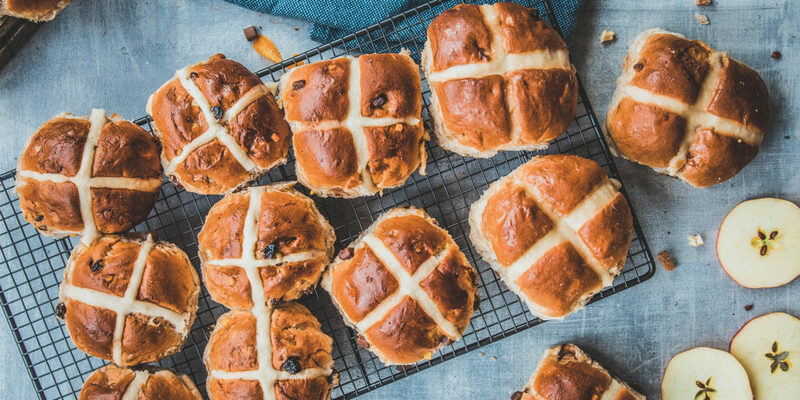 These are available in three tasty varieties this Easter: Chocolate and Orange, Sticky Toffee Apple and, of course, his perfectly spiced Traditional Hot Cross Buns. Handmade by Tom’s skilled team of artisan bakers at The Bakery in Pool, Tom’s hot cross buns are renowned for their satisfyingly plump size, appetising aroma and moreish, rich taste. Just toast, add butter and treat yourself. All three flavours are also available to buy in a mini multipack, which includes two mini buns of each flavour – perfect for families and those who can’t decide on their favourite! Set to relaunch at the end of March as Polurrian on the Lizard, the Polurrian Bay Hotel has enjoyed a refurbishment of communal areas, including the stunning Vista Lounge and the restaurant, offering delicious menus packed with local produce and exceptional personal service. 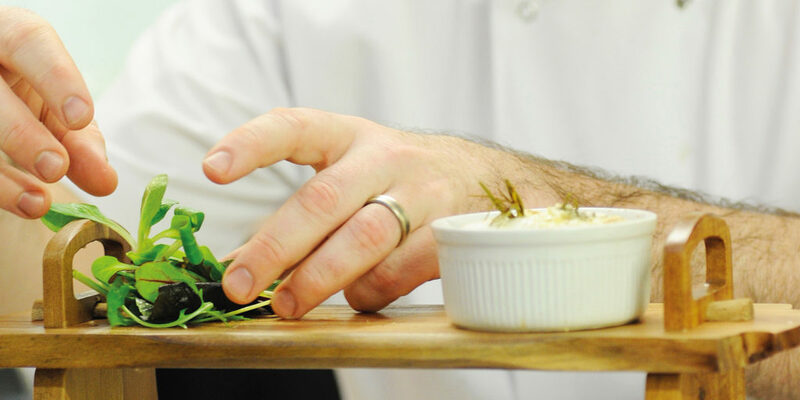 New Head Chef Charlotte, and her talented team have created new, mouthwatering menus, with dishes using the best ingredients from the Cornish countryside and coast. The restaurant has a new Gozney wood fired oven, with many dishes on the menu benefitting from its distinct flavour. All of this is complemented by a tempting new bar menu of wines, rums, cocktails and Cornish brewed ales. Available 12pm until 9pm daily, with afternoon teas on the menu until 6pm. 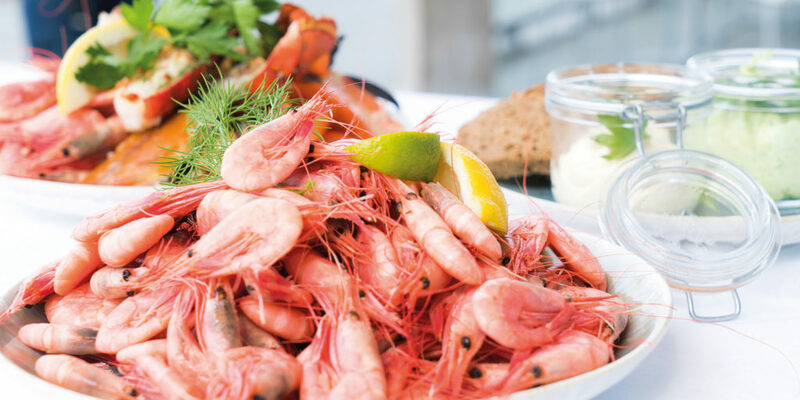 It’s well worth popping into the Polurrian, whether you’re looking for a light bite after an afternoon spent exploring the coastline, or fancy a relaxed meal with friends, enjoying great company with breathtaking sea views. The Little piece of Cornwall subscription boxes so far have seen an eclectic mix of products from brands born and bred here in Cornwall. 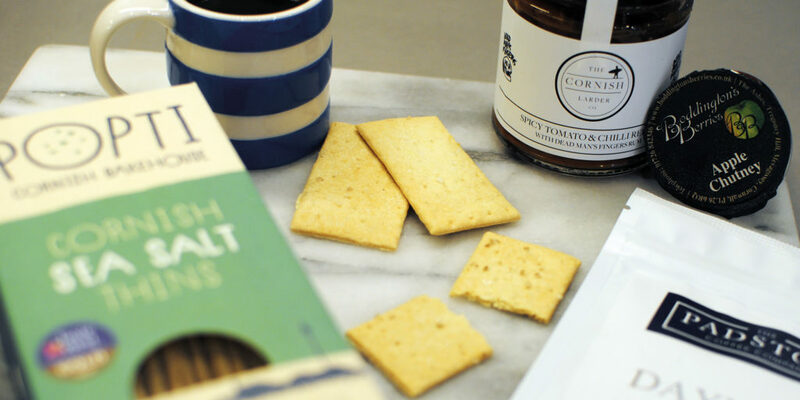 For March, the team behind Little piece of Cornwall – sister company to Cornwall Living – are delivering a ‘CornishBörd’ (a Cornish take on the classic smörgåsbord), with a treasure trove of products just perfect for those after dinner treats. Items include apple chutney from Boddingtons Berries, Cornish Sea Salt Popti savoury biscuits, Spicy Tomato and Chilli Relish from The Cornish Larder Company and Cornish roasted coffee from the Padstow Coffee Company. To complement the coffee, they’ve also included a darling baby espresso mug from Cornish Ware! Whether it’s for you or someone you know that loves Cornwall, be sure to visit the Little piece of Cornwall website, where you can find out how the service works and subscribe.